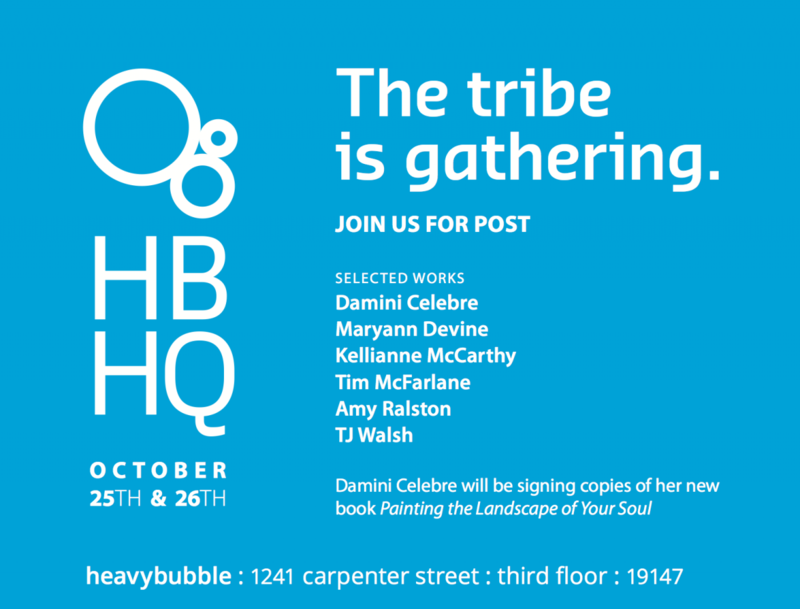 We're thrilled to announce that we will hosting several members of the tribe at our HQ. Some artists work in a corner of their bedroom, a kitchen table, or a little corner of their homes. Some work outside the POST perimeter. We're trying to give them some visibility for POST. Some are helping us out. Stop in for conversation, snacks, and see some small works. Have questions about Heavy Bubble? Stop in and ask.